Get the power and style of Batman. 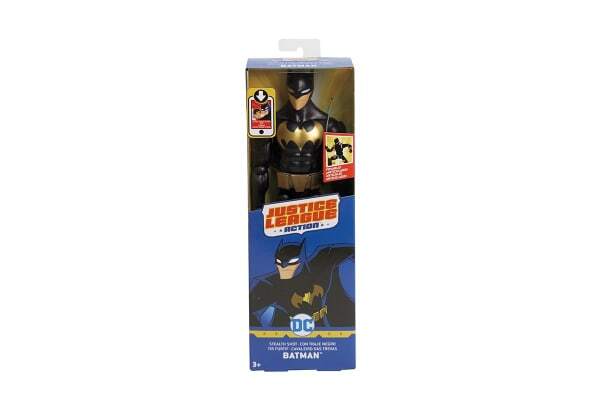 The Justice League Action 12” Batman Figurine captures the unique power and style of a leading Justice League Action character. 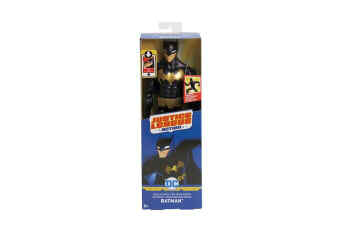 Based on the epic animated series, the Justice League Action 12” Batman Figurine features his black Bat suit, newly sculpted head, costume enhancement and cloth cape. There is also a bonus knee articulation, for a total of 11 points, for dynamic posing and battle action.